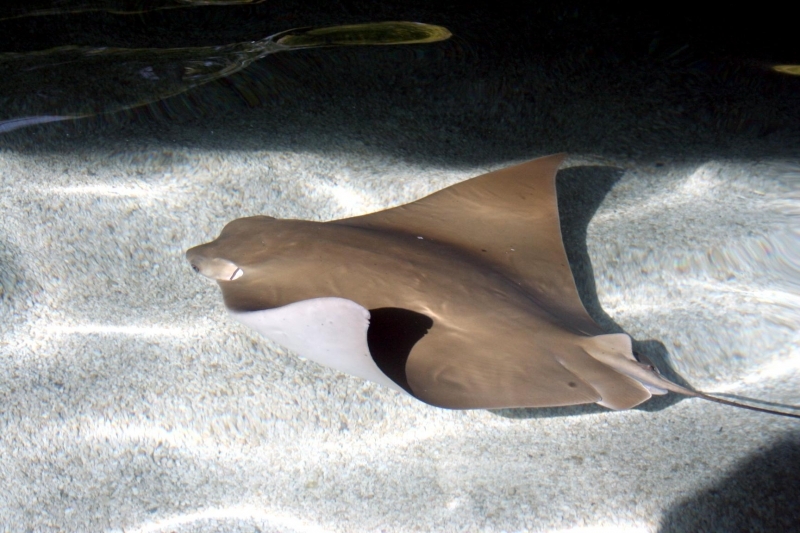 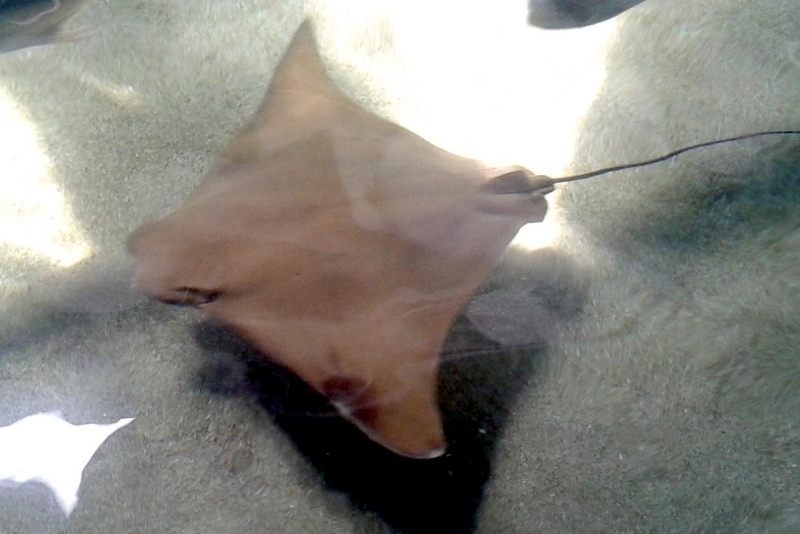 The Cownose Stingray is a brown, kite-shaped ray with a long, whip-like tail. 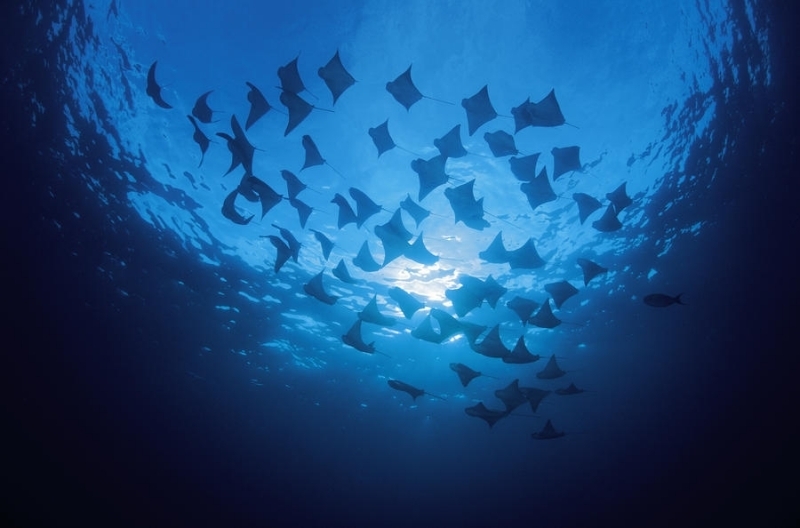 It is a highly migratory species along the Atlantic Coast that visits shallow waters in summer each year to give birth & mate. 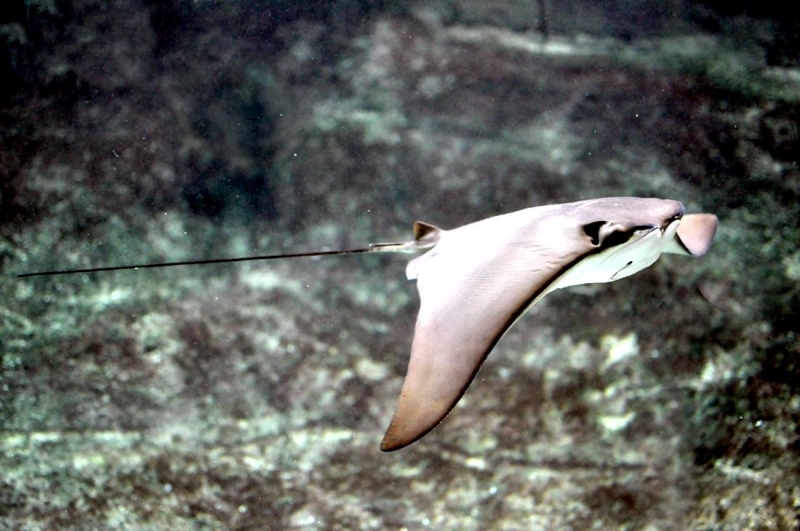 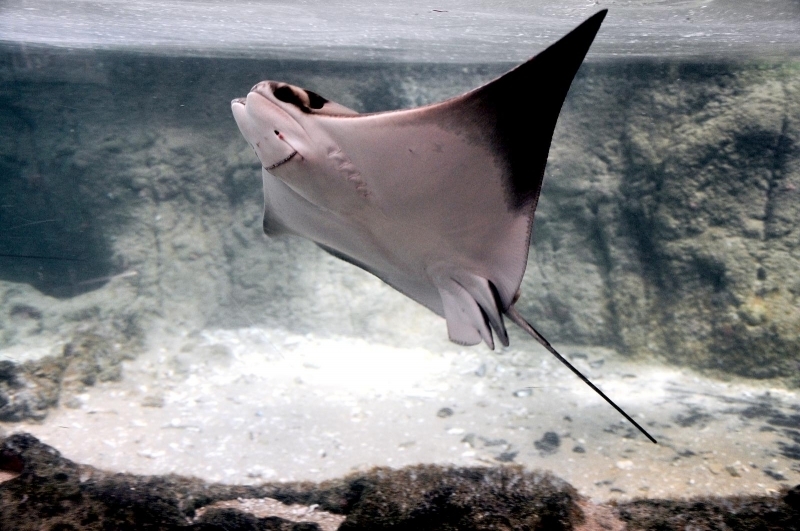 The Cownose Stingray’s kite-shaped body has a wingspan of up to 3 feet and can weigh as much as 50 pounds. 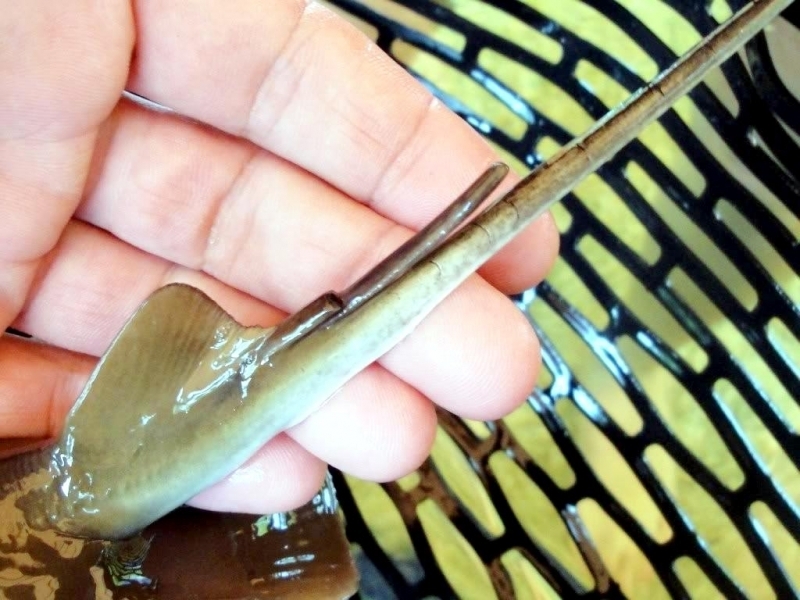 It varies in color from brown to olive-green with a whitish belly and a long, brown tail that looks like a whip. 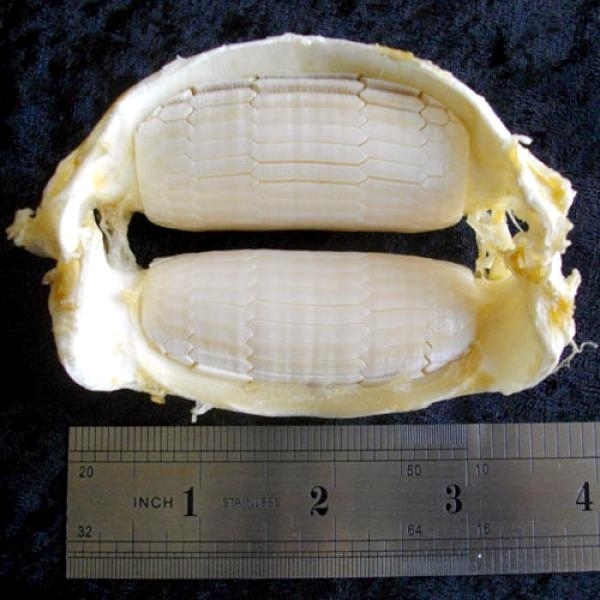 The spine can cause damage, but without the venomous skin sheath there is no venom. 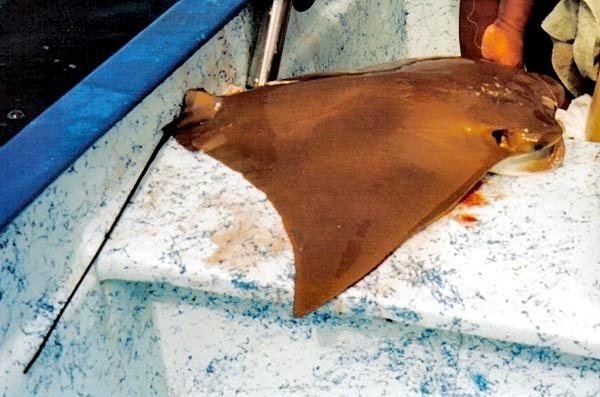 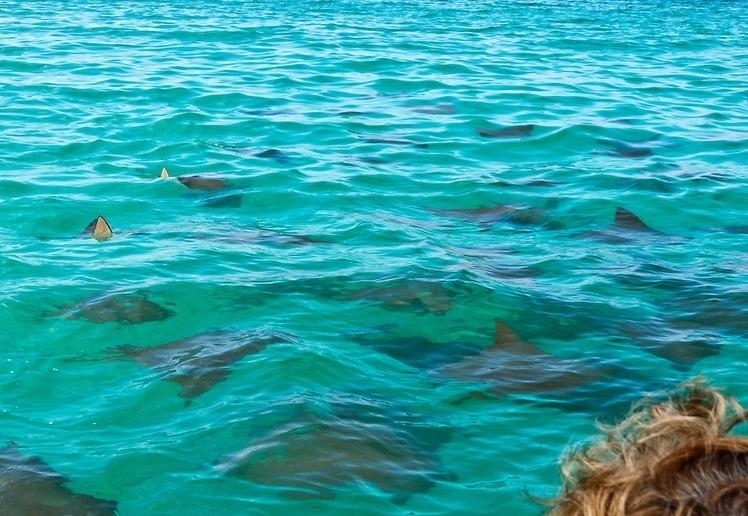 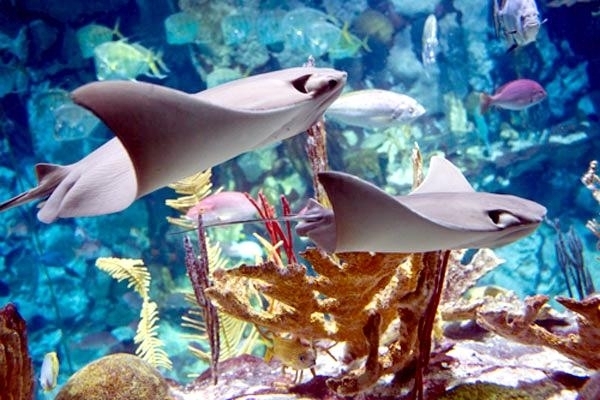 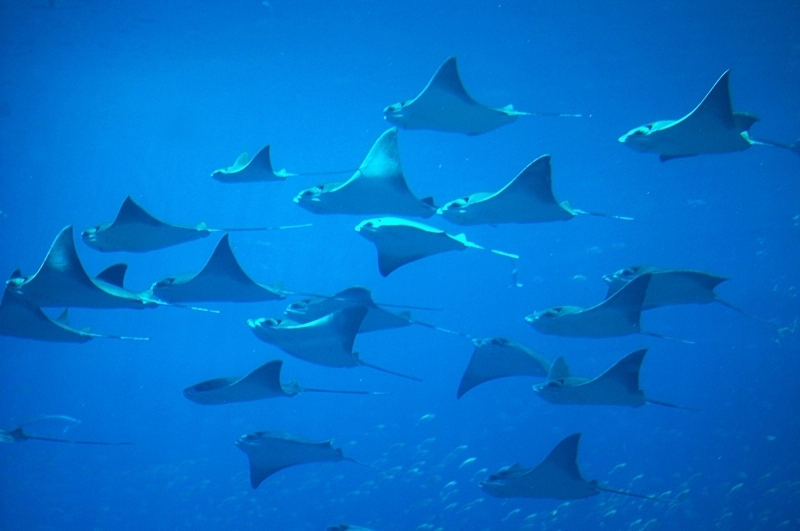 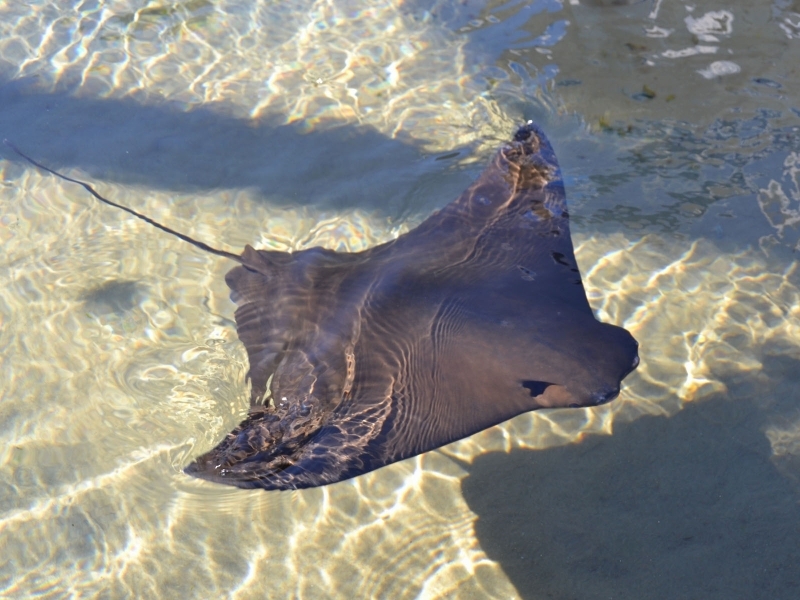 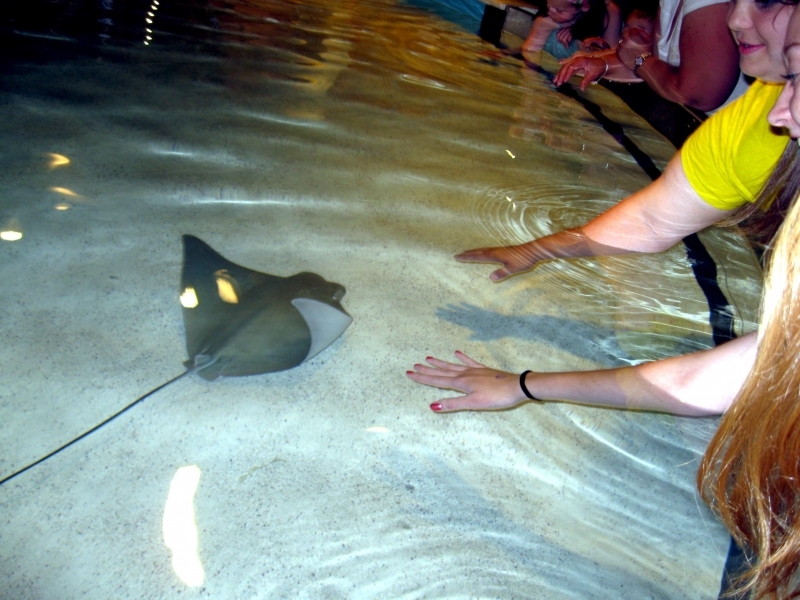 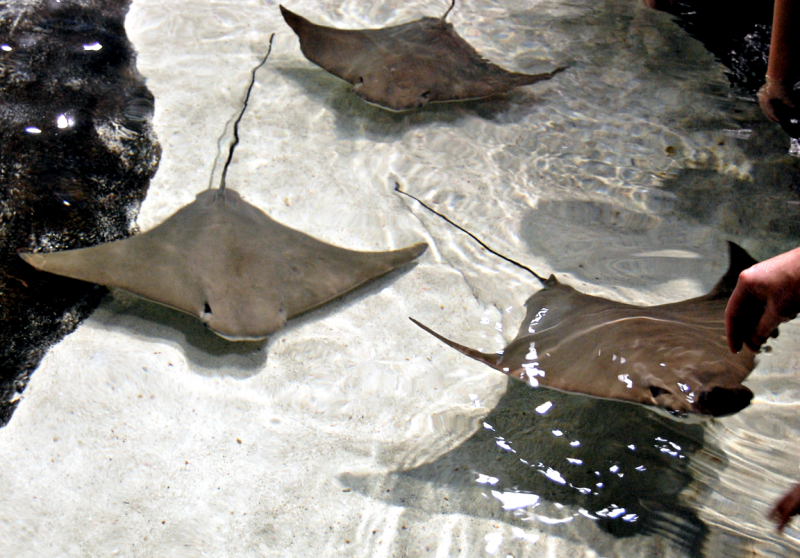 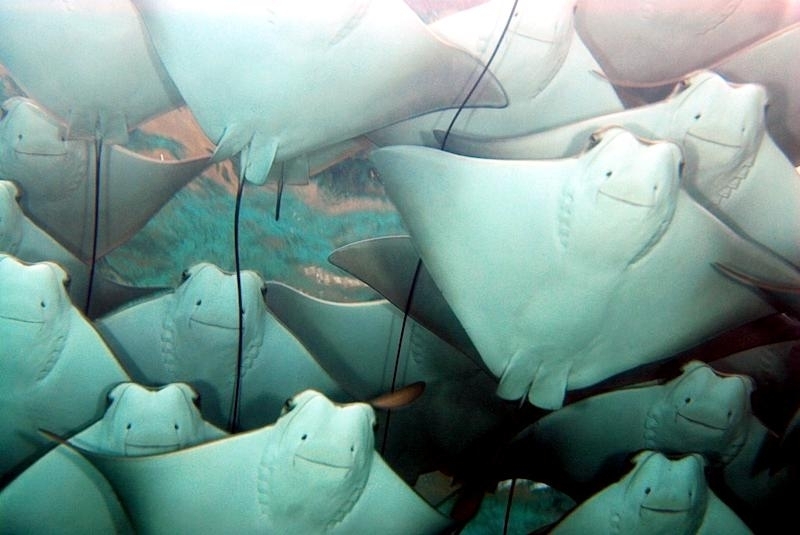 Cownose Rays are venomous, not poisonous. 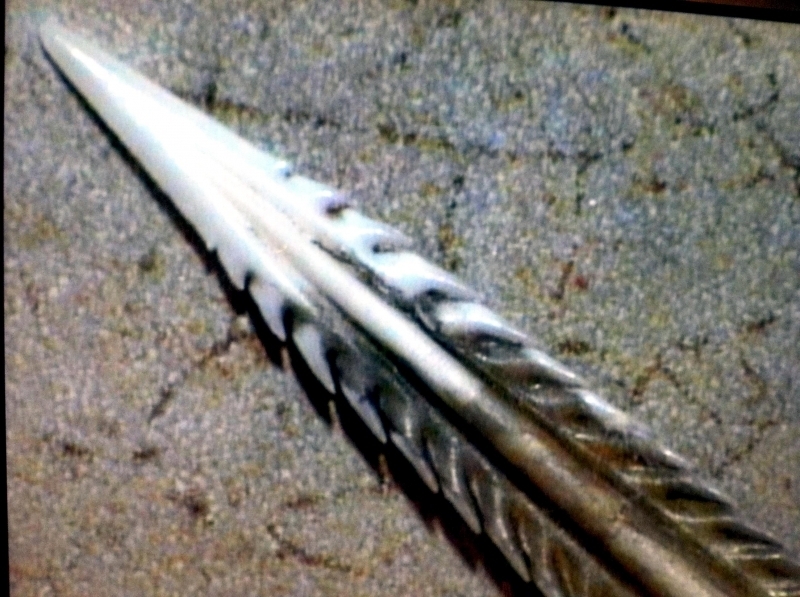 The spine tips can break off, which can lead to infection if they do sting you or inject you, but they aren’t like bees and don’t leave stingers behind on purpose. 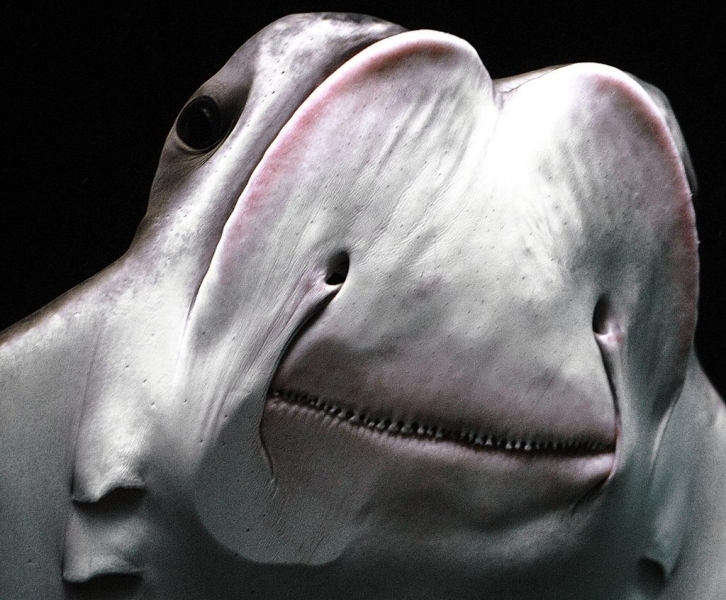 Its squared, indented snout resembles a cow’s nose. 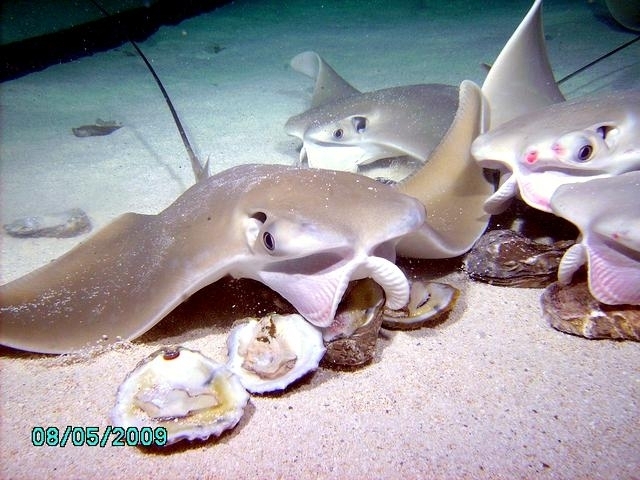 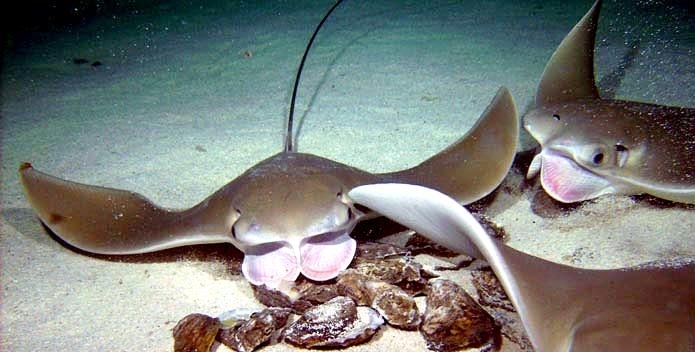 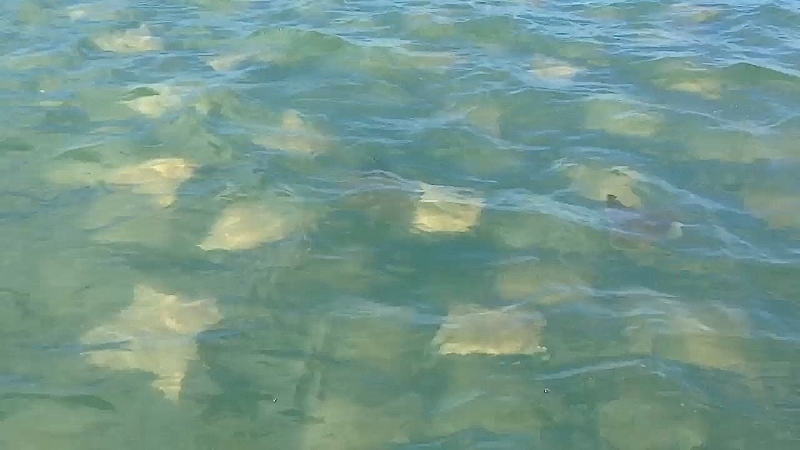 Cownose Stingrays are opportunistic feeders, eating whatever is available mostly softshell clams, but they will eat oysters and hard clams when available. 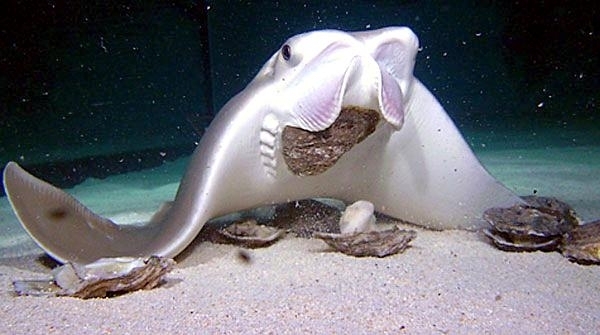 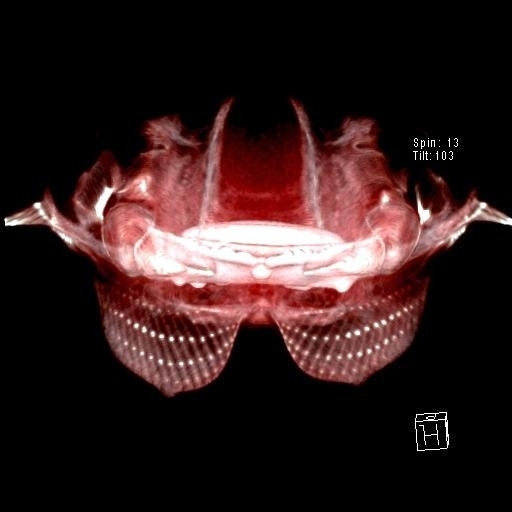 They find their prey by flapping their fins against the bottom to uncover buried shellfish, then using their powerful dental plates to crush the shells open. 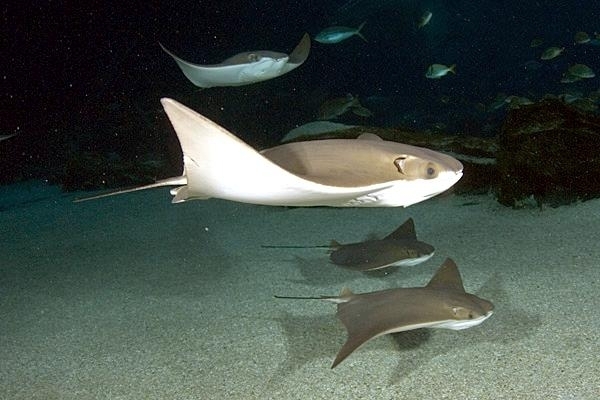 Bull & Sandbar sharks are known predators of Cownose Stingrays. 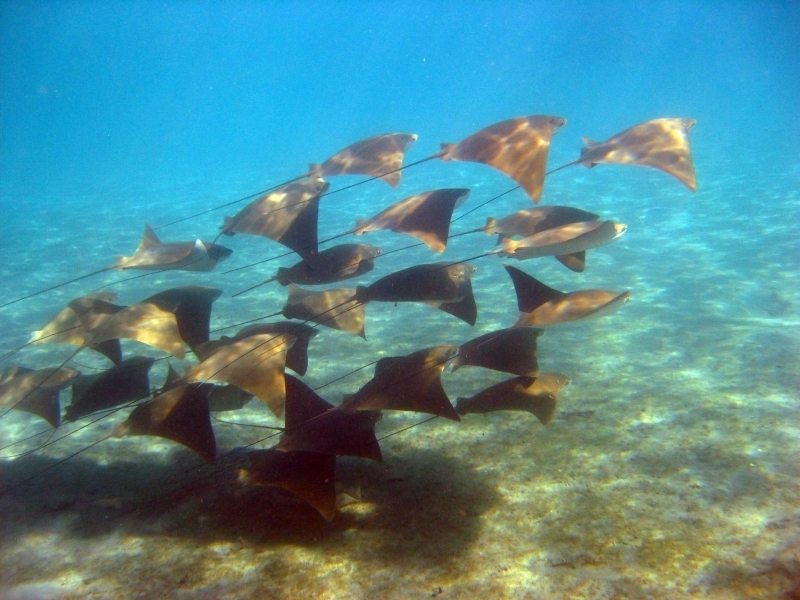 Mating takes place in June & July each summer. 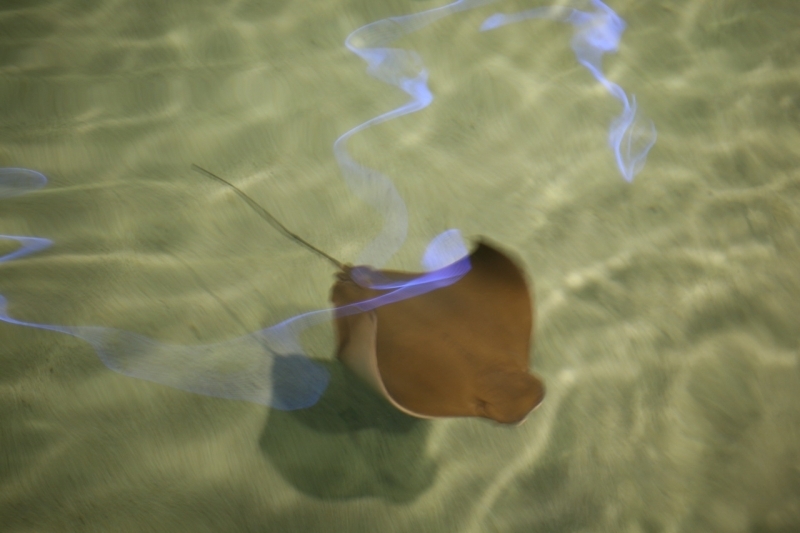 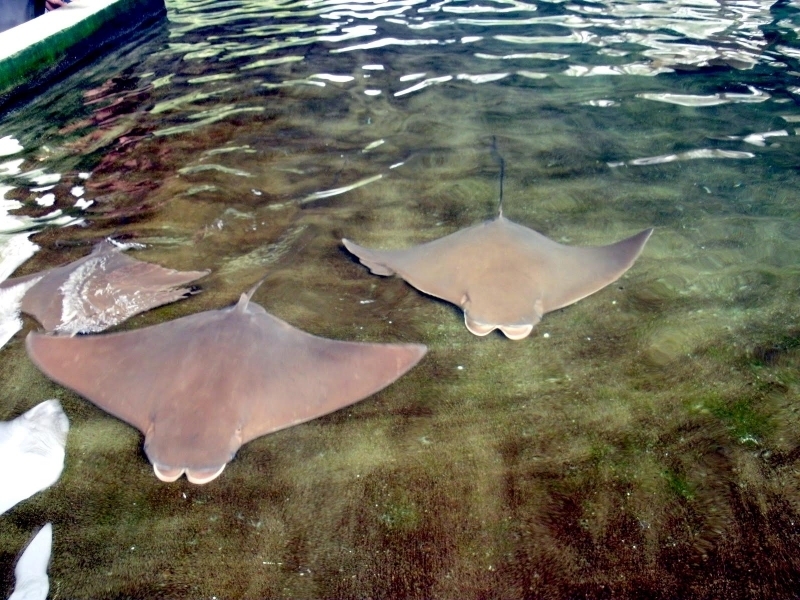 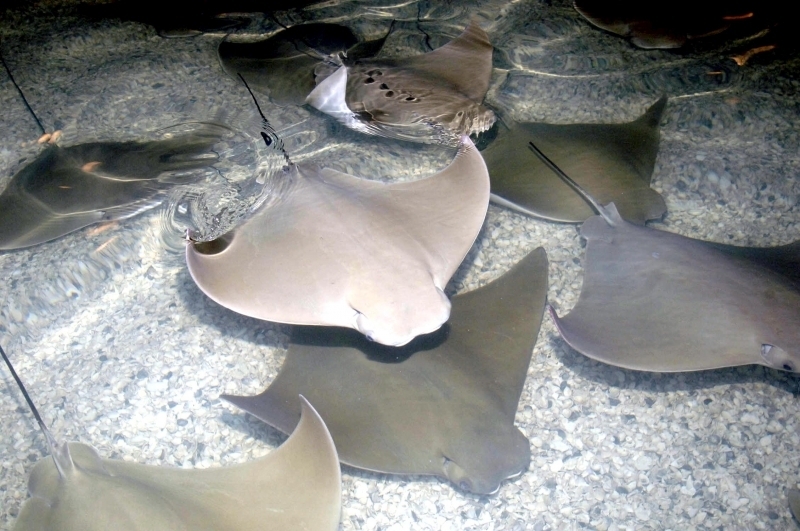 After mating, male Cownose Stingrays leave while females stay until October. 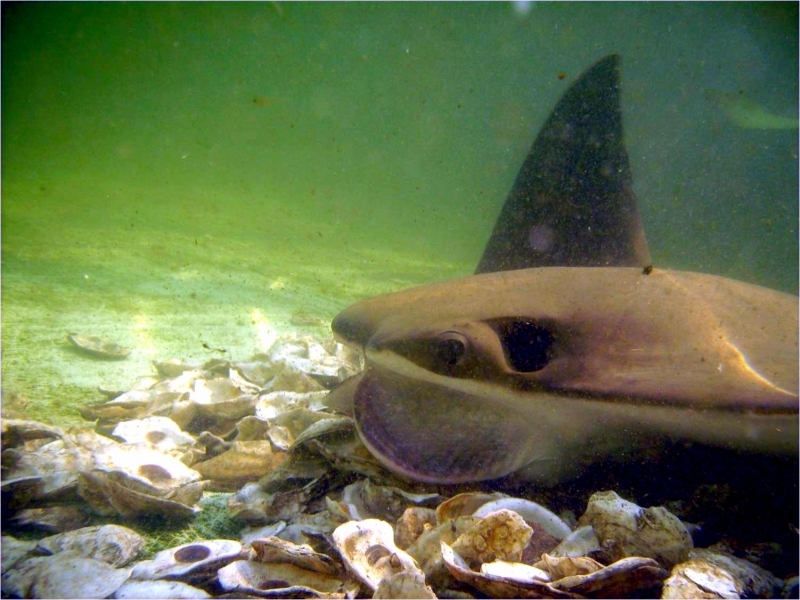 After an 11-month gestation period, females give birth to a single live young called a pup, in mid-June the following summer. 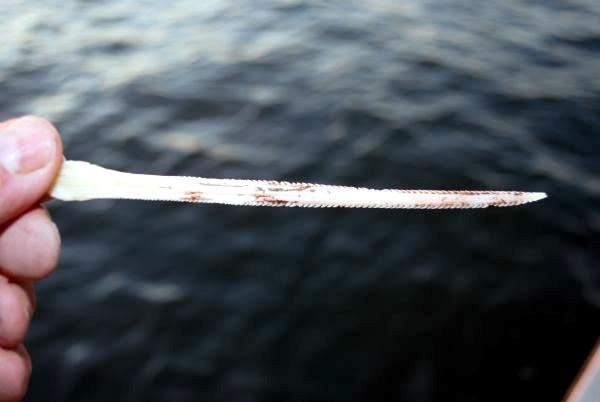 At birth, pups are about 11 to 18 inches long. 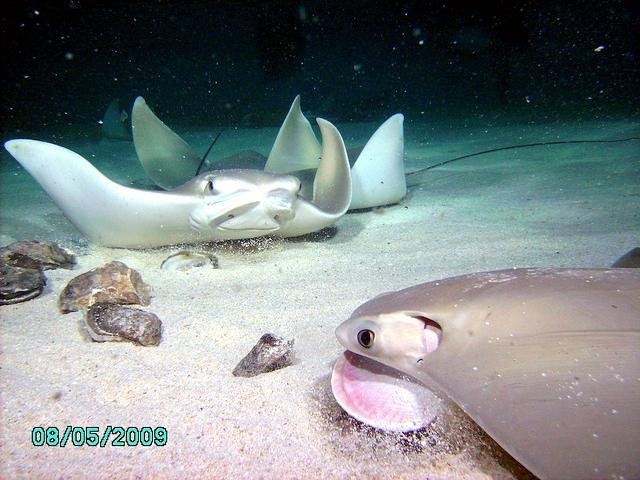 After birth, mating occurs and the cycle begins again. 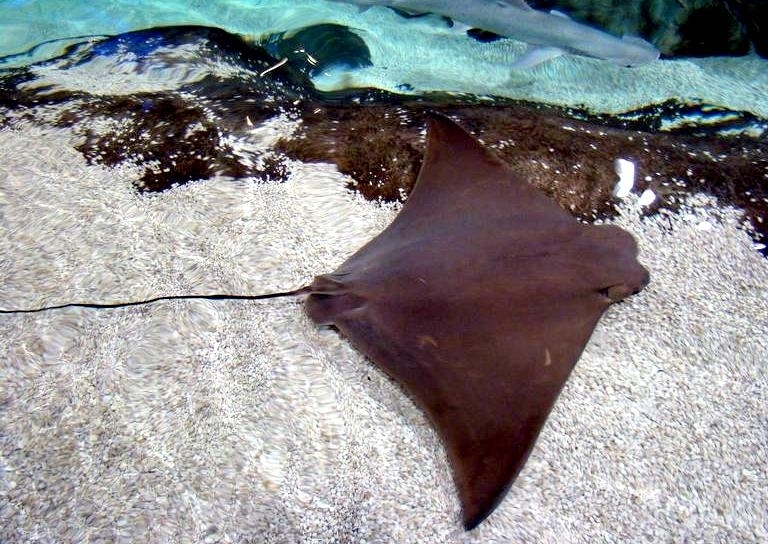 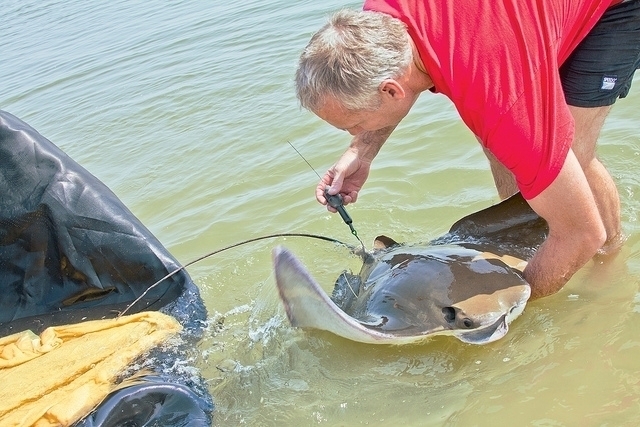 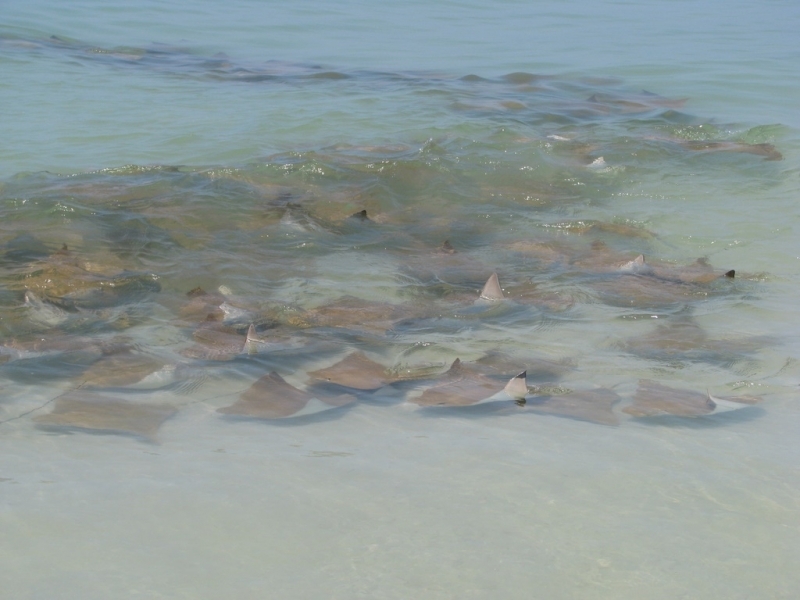 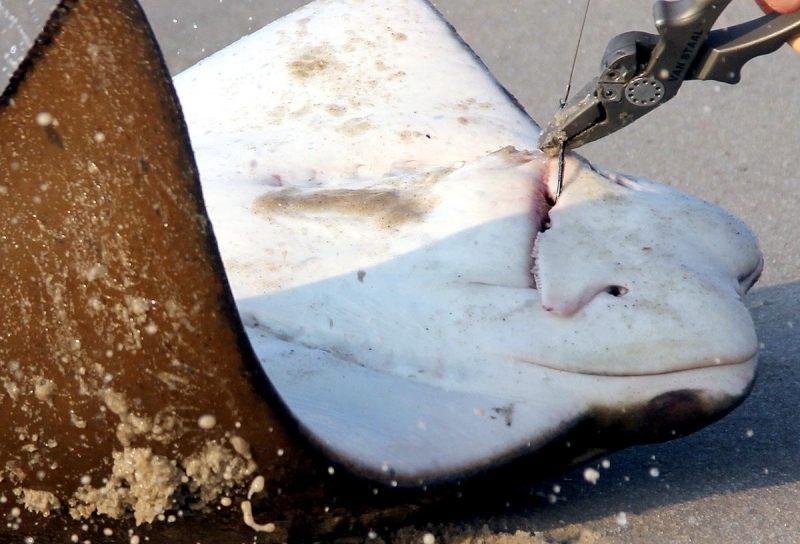 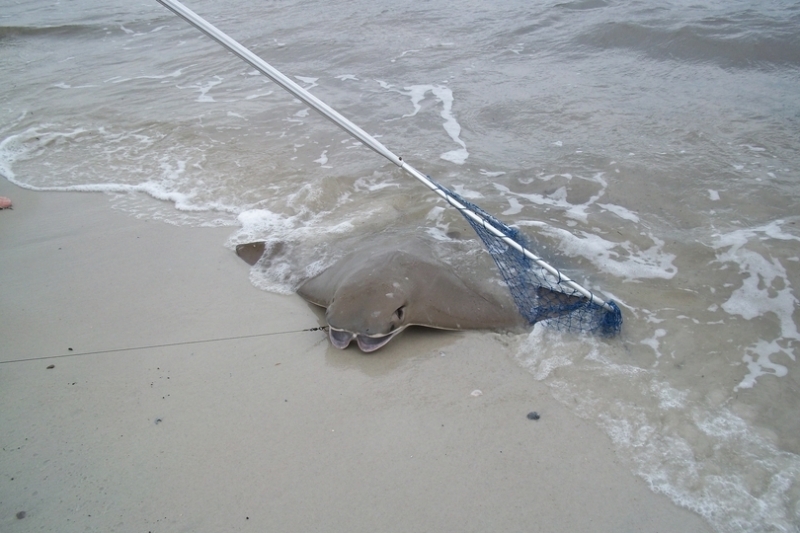 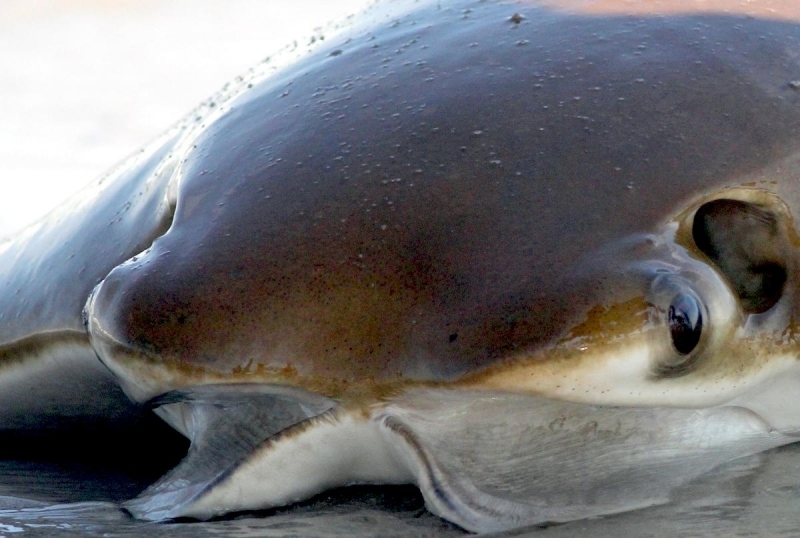 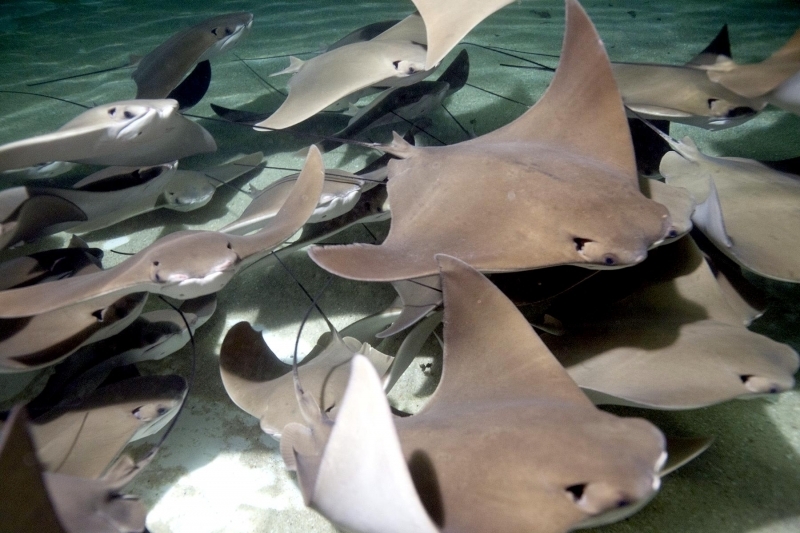 Cownose Stingrays have been referred to as an invasive species, when in fact they are not. 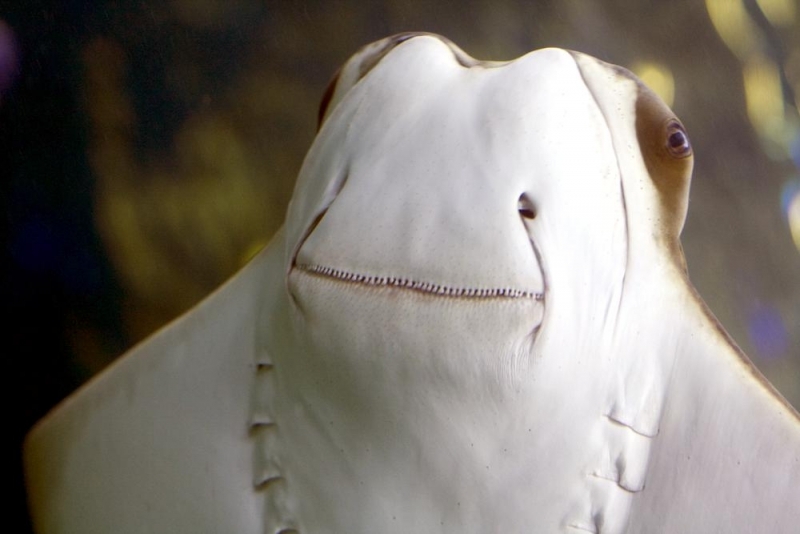 The Cownose Stingray is sometimes called a “doublehead” because of the indentation around its snout. 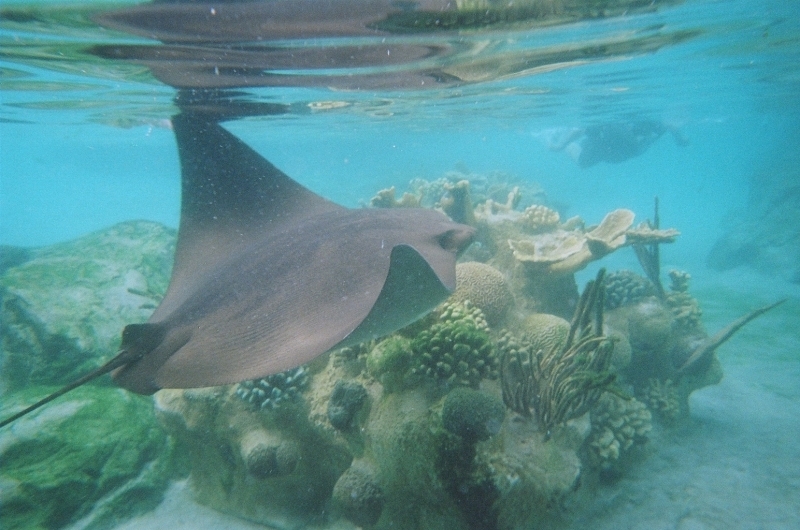 This ray swims by flapping its fins like a bird. 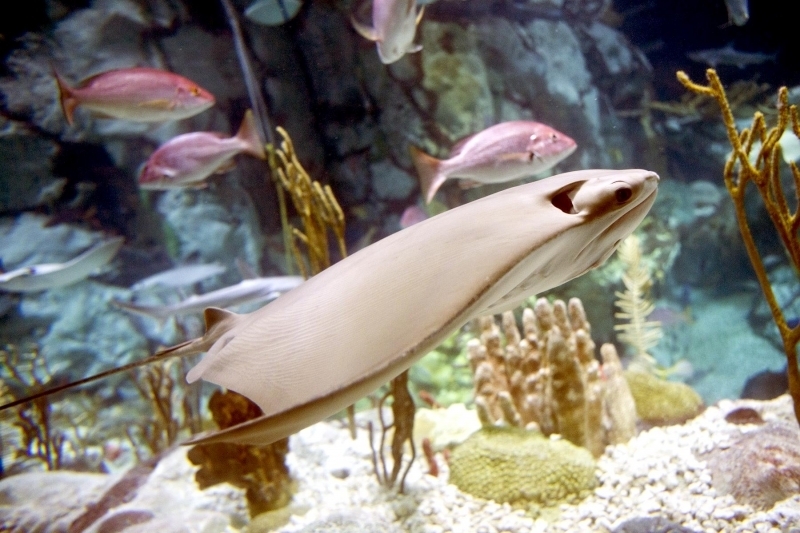 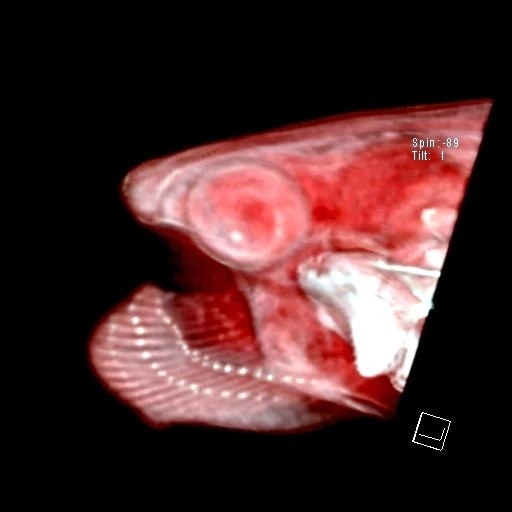 As it swims, the tips of the fins break the surface and can look like shark fins. 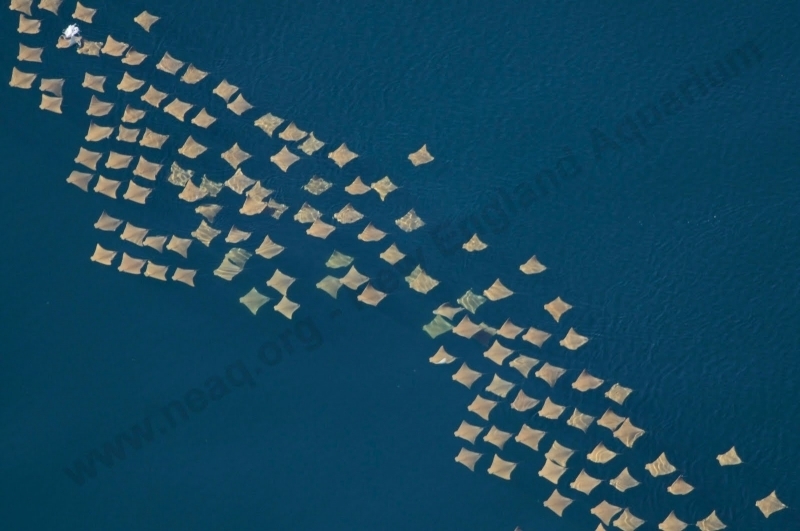 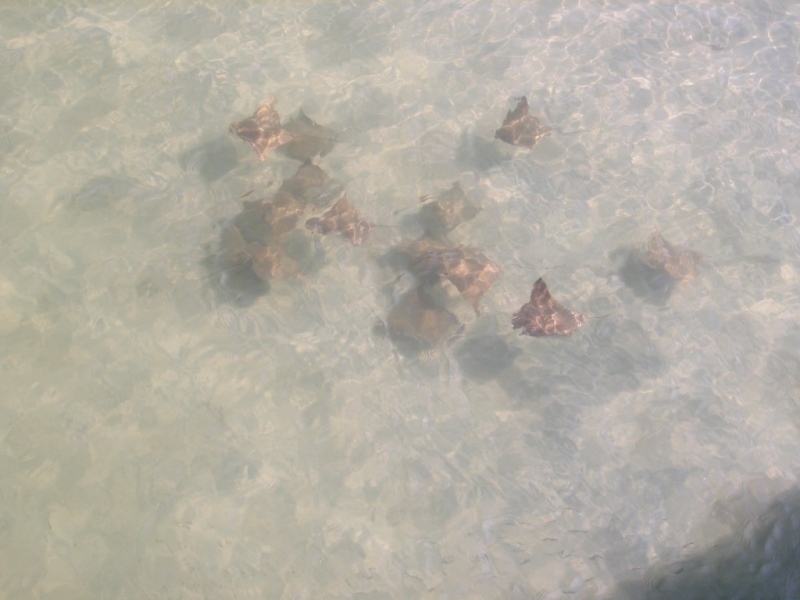 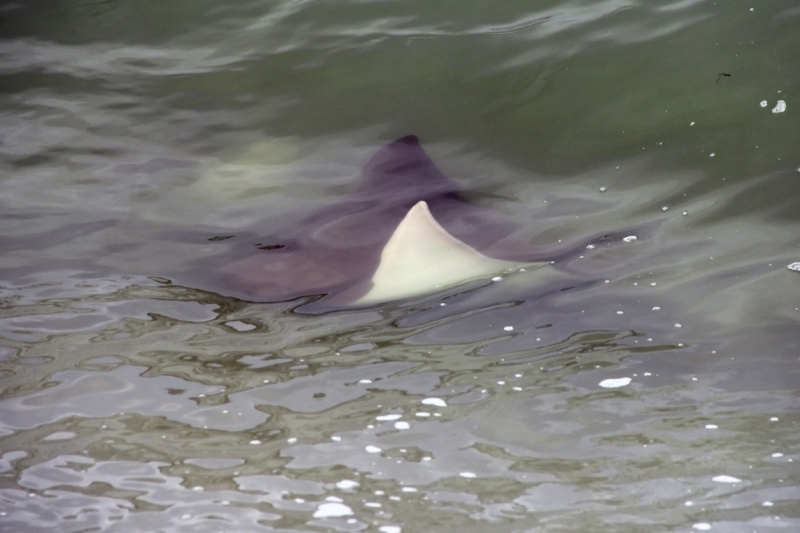 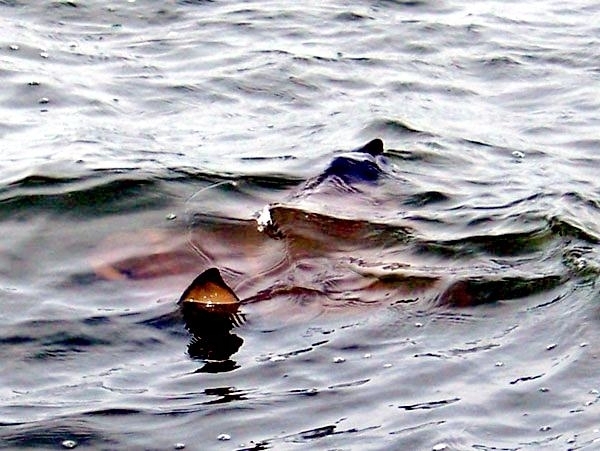 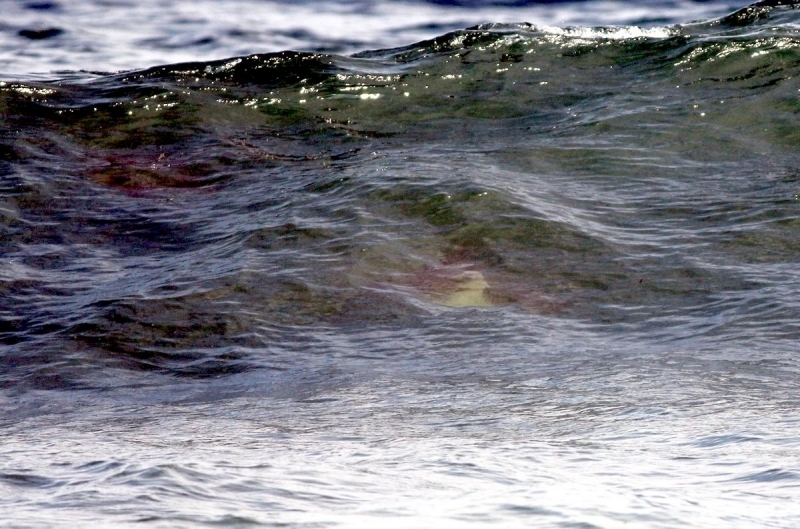 Many “shark” sightings are actually Cownose Stingrays. 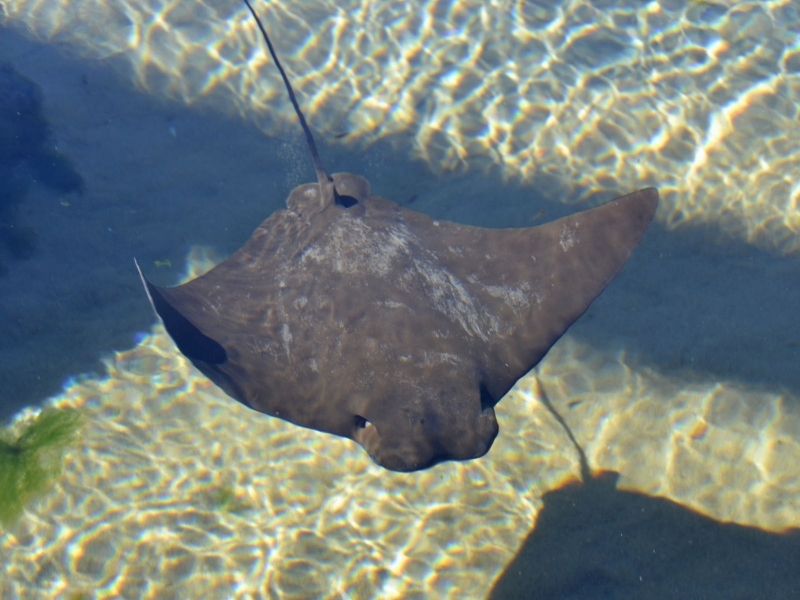 Although Cownose Stingrays are sometimes referred to as skates or stingrays, they are technically neither. 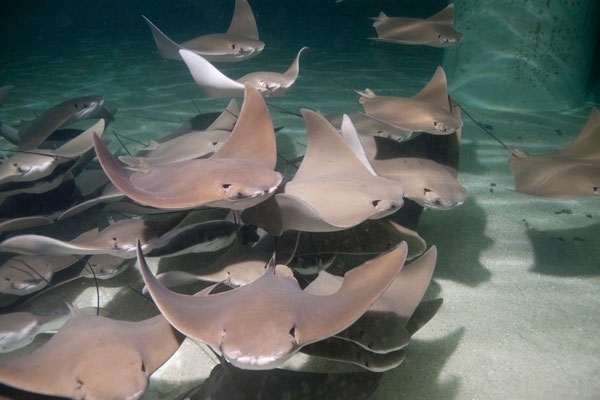 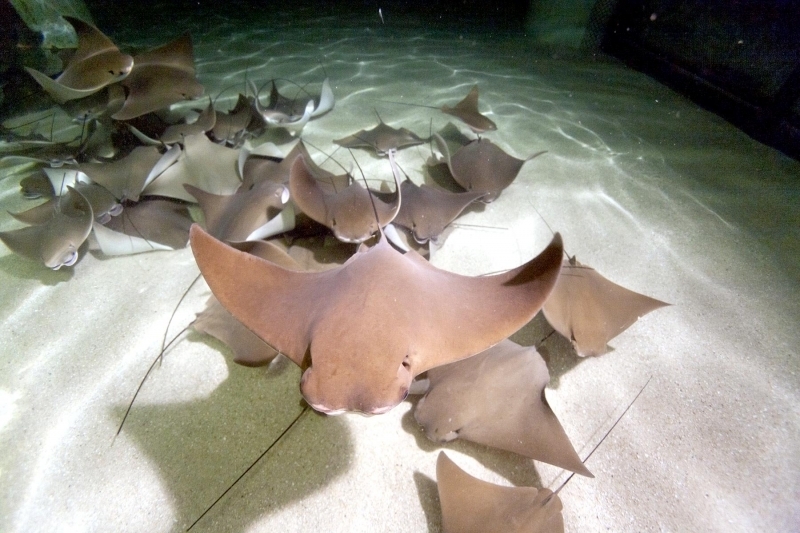 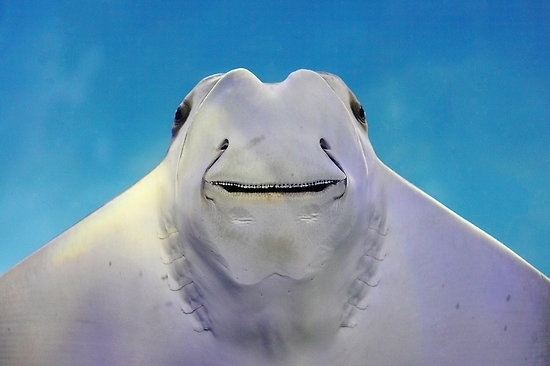 Cownose Stingrays belong to their own family of rays.